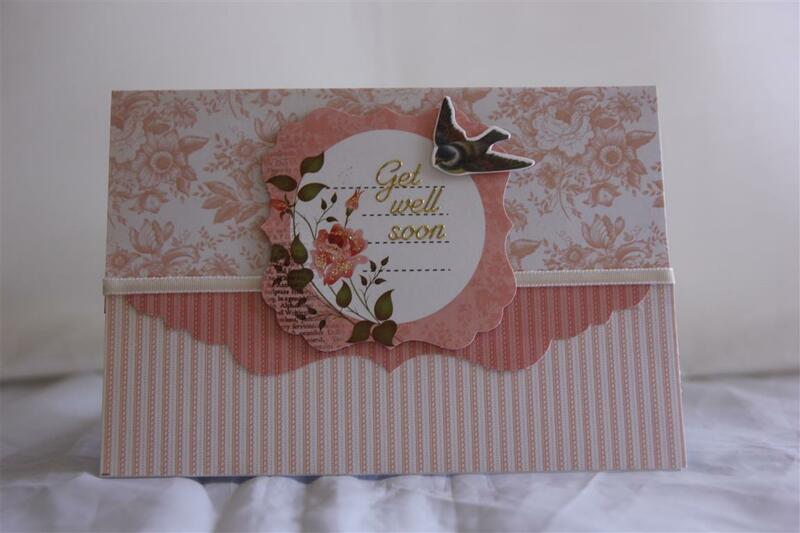 This is another village lesson card – the ladies gave me the embossing folder which they had purchased and asked for some ideas on how to use it.I embossed a piece of cream cardstock and then inked the raised areas with a green ink pad and sponge. The flowers were punched using a cosmos martha stewart punch and I added some bling and a ribbon bow, and mounted everything onto stampin up daffodil Delight cardstock.The butterfly was punched with a stampin up punch.I have been busy in the card room making some more class lessons,and preparing for my class later in the week, but when I go back in there later I will be creating with some new papers – can’t wait! I made this card to prove to myself that I could do a one layer card! Although I have to admit I am still fighting the urge to add some ribbon and bling… I stamped a variety of butterfly stamps – (I have a lot so it could have been any brand) and stamped them in different coloured inks – these were – Stampin Up Certainly Celery,bashful blue,so saffron, and Pink Piroutte, and then fussy cut around the outside edge. The sentiment stamp ( from stampin Up) was stamped in black to stand out.Interesting exercise, but I won’t be packing away my bling any time soon! 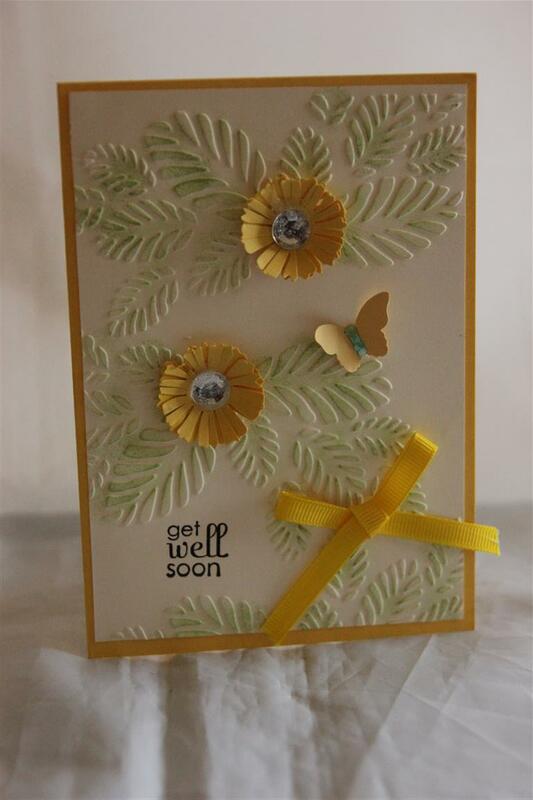 Til tomorrow…..
Today is Kaisercraft Botanical Odyssey number 2. Just the 6″paper pad, and matching collectables, and a little seam binding for this one – I do love this paper, and in a minute when I return to the craft room where I have been working on May Lessons, I am going to get it back out and make some more cards with this one! I haven’t played nearly enough with it yet! 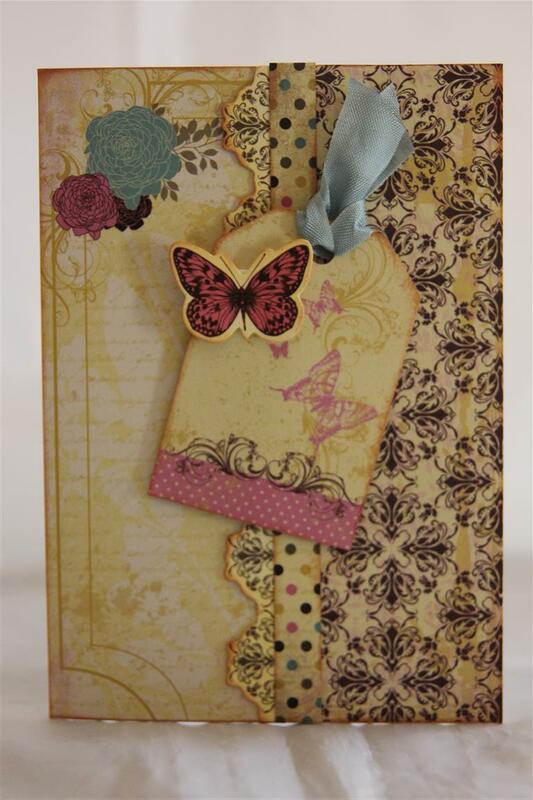 Great to see the rain this afternoon, a great day for crafting. Til tomorrow…. 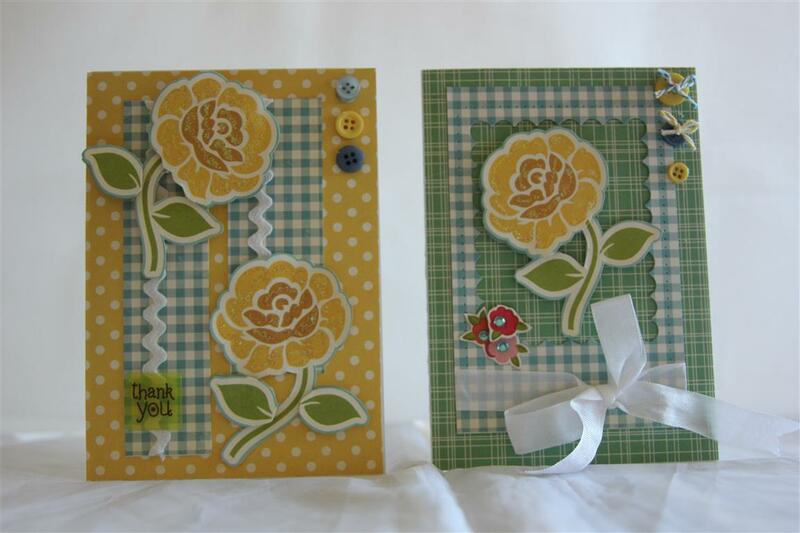 For these two cards I used a couple of different papers in the October Afternoon farm girl range. 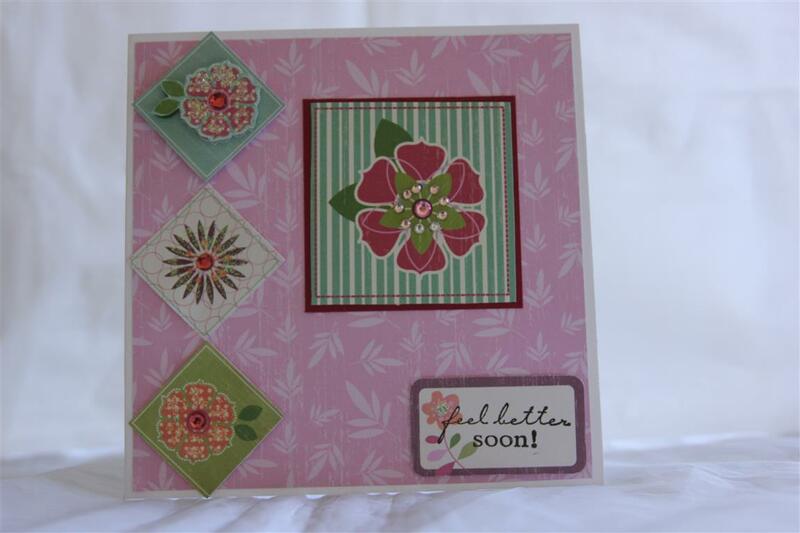 I fussy cut the flowers out of one sheet, and teamed them up with the gingham papers and dots papers. I die cut a spellbinders scalloped rectangle, and used the resulting frame ( the rectangle will appear on another card soon) and added buttons, ric rac, seam binding, bakers twine, and a bit of bling and kindyglitz to finish. 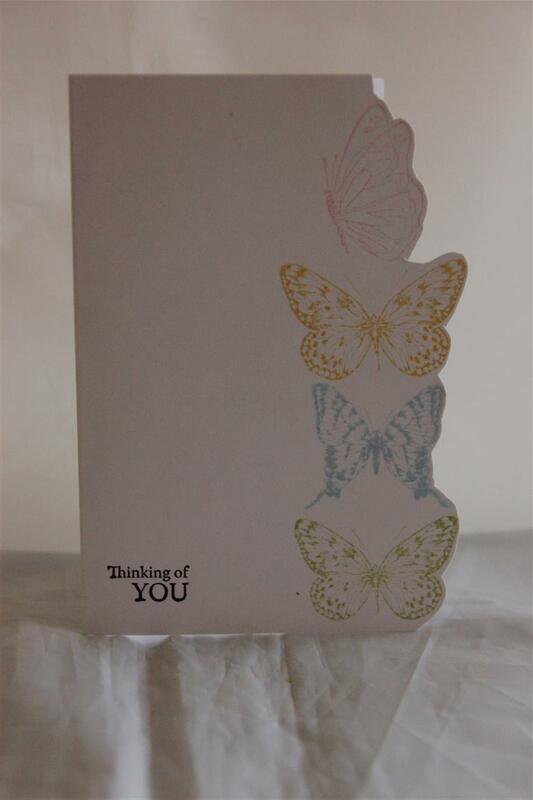 the end of the working week for me , and a couple of days off to play with my new hexagon spellbinders and embossing folders – can’t wait! Til tomorrow…. Todays card is a favourite. I lean towards nature inspired cards when I am making cards just for fun, and this one is no exception.The designer paper is from Stampin up – it’s a retired collection, but I bought up big when it was available because I fell in love with it!Cardstock is stampin up early espresso and very vanilla, and I used my stampin up designer frames embossing folder and labels collection framelits. I punched out the centre of the embossed oval with an oval punch, and stamped an image from Stampin up organic grace stamp set to set behind the resulting frame.a little linen twine and a stamped and cut out butterfly finished off this one.I have completed a card order today, and now I am starting to organise my january classes, which will be here before I know it! Til tomorrow….